For many travellers, peaceful and restful sleep is like a dream. But why is getting a good night’s sleep impossible for so many travellers? And what can you do to get a badly needed night’s rest in an unfamiliar place? Well, Jumia Travel shares how to get a good night’s sleep on vacation. Several days before your departure, try to gradually adjust your sleeping times to match your destination’s time zone. If you’re travelling east to west, stay up later in the nights before the start of your trip. If you’re travelling west to east, try the opposite; go to sleep and get up earlier. This can help you fall asleep and wake up in sync with your usual schedule in your destination time zone. Before booking a hotel, research online. It will be important if you really want to have a good sleep on vacation. Check Google Maps to see if the hotel is on a busy street, along with a crowded freeway, or adjacent to a major airport runway. When in doubt, call the hotel you want to book and ask about noise nearby. Getting enough sleep is underrated, especially when travelling long distances and on business. When you are away from home, you often stay up too late, party too much and skip exercise. Try to stick to your routine by going to sleep early while on the road, or at least stick to your usual bedtime. 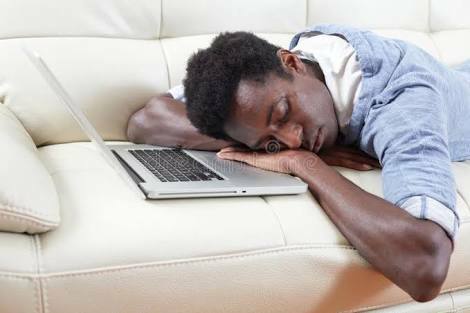 At least 30 minutes before going to sleep, turn off your computer, mobile phone, iPad, or TV. The blue or red lights on your device screens stimulate your brain, making it harder for your body to shut down. To sleep on vacation better, endeavour to balance your room’s temperature — not too hot, not too cold. Also, do not forget to pack an eye mask, earplugs and a white noise app on your phone. This will also help you get better sleep.